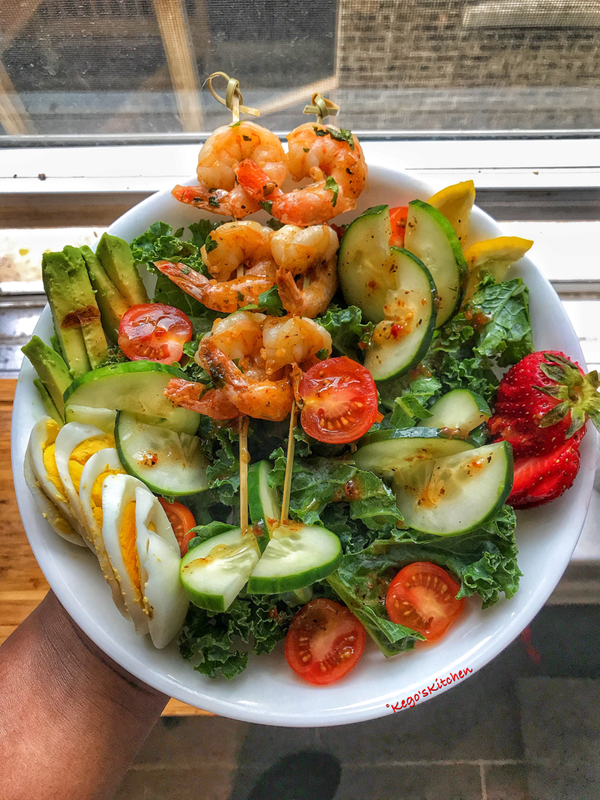 I needed some kind of protein to add to my salad and of course Shrimp was the perfect idea. 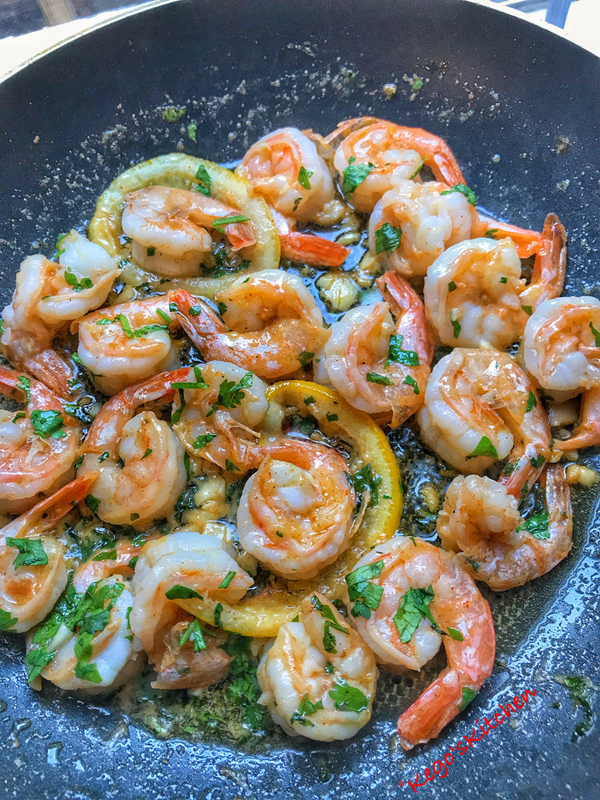 Sautéed with garlic, butter, cilantro, and lemon these shrimp were to die for. It took my salad to another level. 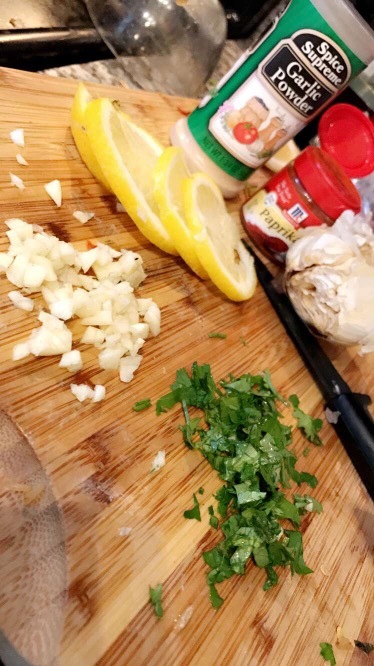 To all my keto lovers, you will love this recipe. Let me know what you think! Season shrimp with above seasonings and lemon juice, mix well. Heat up a skillet on medium-high heat. Add in 2 tablespoons of butter, allow to melt. Also add in sliced lemon. Once butter is melted, add in minced garlic, allow to saute for about 1-2 minutes. Next add in 2 Tbsp of cilantro, Shrimp, and the last tablespoon of butter. Lower heat to medium . Continue to cook shrimp 1-2 minutes on each side. Once Shrimp is done ( turned pink), sprinkle with 1tbsp of chopped cilantro. P.S.- add shrimp into a salad or enjoy with zero noodles.